Listed below are Furniture items for you to car boot sale online here that you will find available in Manchester. If you cannot find the Furniture items that you are looking for in Manchester you can add your wanted item to let sellers contact you if they have any Furniture items available for you. You can keep your contact information confidential. Enter only an email address in your car boot sale ad to receive offers into your account on our system. We will remind you automatically when new offers arrive for you. To offer your items for sale on this online car boot sale in Manchester simply click Post free ads for Furniture link below or the button Post free ad in top right corner of this page. It is fast, easy and free to post an ad in 2lazy2boot. It will take you just few minutes to have the ad seen on our listings. You can then edit your ads any time by clicking “Member area" button on top right corner of this page. Revamp old or worn leather with quality DFS leather dye. Exciting colors available to match your style and fit your budget. For more information kindly visit here. http://lovemyleather.co.uk/ Love my Leather Limited Advantage Business Centre 132 - 134 Great Ancoats Street Manchester M46DE Phone: 0800 358 2550 Email: sales@lovemyleather. Fix scratched, worn out or faded leather with DFS Leather dye can. 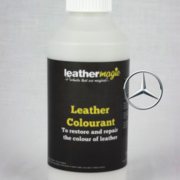 Perfect for any colour change and leather colour restoration. For more information kindly visit here. http://lovemyleather.co.uk/ Love my Leather Limited Advantage Business Centre 132 - 134 Great Ancoats Street Manchester M46DE Phone: 0800 358 2550 Email: sales@lovemyleather. 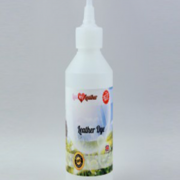 Restore the looks and glory of your leather with incredible DFS Leather Dye Pen. Suitable for minor repairs on leather furniture, car interiors, and jackets. For more information kindly visit here. http://lovemyleather.co.uk/ Love my Leather Limited Advantage Business Centre 132 - 134 Great Ancoats Street Manchester M46DE Phone: 0800 358 2550 Email: sales@lovemyleather. 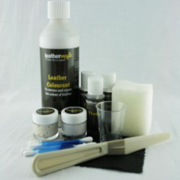 Restore the colour and repair scuffs, cuts, tears of your leather with DFS Mini Leather Repair Kit. Effective for small to medium leather repairs. For more information kindly visit here. http://lovemyleather.co.uk/ Love my Leather Limited Advantage Business Centre 132 - 134 Great Ancoats Street Manchester M46DE Phone: 0800 358 2550 Email: sales@lovemyleather. Get a professional DFS touch up kit and repair all worn and scuffed leather promptly. Our kit comes with everything you need to repair your leather. For more information kindly visit here. http://lovemyleather.co.uk/ Love my Leather Limited Advantage Business Centre 132 - 134 Great Ancoats Street Manchester M46DE Phone: 0800 358 2550 Email: sales@lovemyleather. High quality Mercedes leather dye pen for leather seats, air bags, and safety belt touch up. 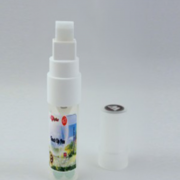 Perfect for removing scratches and scuff on interior leather. For more information kindly visit here. http://lovemyleather.co.uk/ Love my Leather Limited Advantage Business Centre 132 - 134 Great Ancoats Street Manchester M46DE Phone: 0800 358 2550 Email: sales@lovemyleather. Give your interior leather a perfect face-lift with our easy-to-use Mercedes Mini Leather Repair Kit. Our leather kit comes with everything you need. For more information kindly visit here. http://lovemyleather.co.uk/ Love my Leather Limited Advantage Business Centre 132 - 134 Great Ancoats Street Manchester M46DE Phone: 0800 358 2550 Email: sales@lovemyleather. 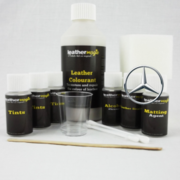 Grab our easy-to-use Mercedes Leather Colourant Kit and restore the natural beauty and splendour of your Mercedes interior leather. For more information kindly visit here. http://lovemyleather.co.uk/ Love my Leather Limited Advantage Business Centre 132 - 134 Great Ancoats Street Manchester M46DE Phone: 0800 358 2550 Email: sales@lovemyleather. 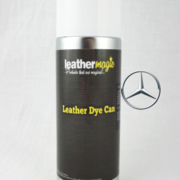 Cover scratches and scuffs on interior leather with Mercedes Leather dye can. Perfect for touch ups, colour change, and leather colour restoration. For more information kindly visit here. http://lovemyleather.co.uk/ Love my Leather Limited Advantage Business Centre 132 - 134 Great Ancoats Street Manchester M46DE Phone: 0800 358 2550 Email: sales@lovemyleather. 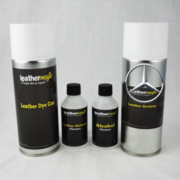 Restore the natural finish of your car interior with easy to Mercedes touch up kit. Suitable for all small touch up and full colour restoration on leather. For more information kindly visit here. http://lovemyleather.co.uk/ Love my Leather Limited Advantage Business Centre 132 - 134 Great Ancoats Street Manchester M46DE Phone: 0800 358 2550 Email: sales@lovemyleather. 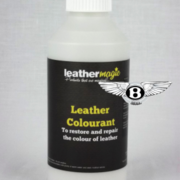 Bentley Leather Colourant designed for full colour restoration and colour change. 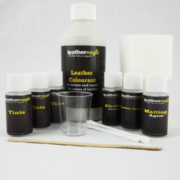 Leather Colourant has high pigment content allowing you greater coverage. For more information kindly visit here. http://lovemyleather.co.uk/ Love my Leather Limited Advantage Business Centre 132 - 134 Great Ancoats Street Manchester M46DE Phone: 0800 358 2550 Email: sales@lovemyleather. It can also help to replenish any key areas that have become worn through constant use; and you can even use it to gently change the original colour itself. Simply fill the damaged area with a thin layer of leather filler. Allow the filler to dry and reapply further layers until the filler is flush with the original leather. Large Pine Dining Table with Six Chairs in Excellent Condition. We have had this table and chairs since new and we have hardly used them. Hence they are in beautiful condition but for a few blemishes on the table which are hardly noticeable and probably soon remedied. Because they have hardly been used the chairs are solid and they do not move or squeak at all. The table is large and solid and measures 1000mm by 1800mm and is 760 mm high. Cream 3 seater £68.00. Cream leather pillow back 3 seat sofa £68.00 in excellent conditionVisit our shop 118 Chorlton Road, Manchester M15 4AL where we provide quality clothing, furniture, electrical items, books, CDs, DVDs, video and other household items at affordable prices.Customer Notice:Please Note:A £5. Black Leather Sofas Only 2 Mth Old Black Leather Sofas, One Large and The Other Is Regular Sized, Excellent Condition & Only Bought 2 Months Ago, Genuine Reason For Sale, Buyer Needs To Be Able To Collect From Atherton, £250.00. Slumberland, The Turin, One Seater Sofa Chair. Incorporates a full block foam mattress. Easy action mechanism converts to a comfortable bed in seconds Available in Single (one seater) or Double (two seater) Free cushions: 1 x Chair 2 x Sofa bedAvailable in a range of fabric colour options £399. A simple set of shelves or a bookcase depending on your needs for only £25.00 in great condition, This is made from a dark wood and will look good in any room with a darker décor. Visit our shop 118 Chorlton Road, Manchester M15 4AL where we provide quality clothing, furniture, electrical items, books, CDs, DVDs, video and other household items at affordable prices. Leather sofa blue Lleather sofa blue 3 seater 2 seater approx 3 years old in good condition smoke free home no rips or tears Looks better than the picture £50.00 no offers. burgundy/claret reclining 2 seater sofa burgundy/ claret colour , with removable/ washable fabric upholstery. comfortable and in good condition. seats recline fully . w 164cm, h 103cm, d 100cm. £45.00. Well here you go. Good luck with your on line car boot sale in Manchester. We hope you have some success and find buyers/sellers that you are looking for in Furniture . Don’ t forget to comment any successes in selling your Furniture items in Manchester to our valuation window and report forum! We are sure you will find many people in Manchester looking for your Furniture. Manchester car boot sale. Furniture for sale ads on online car boot sale in Manchester, second hand Furniture for sale in Manchester, Furniture ads for free in Manchester, 2lazy2boot - Manchester car boot fairs.